I had this idea since last year, but recently made a logo for it. 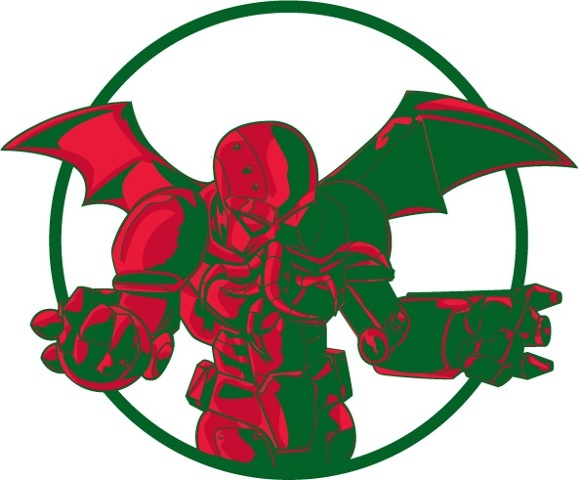 The Mecha Thulu logo was for my rendition of the Lovecraft monster, Cthulu, but done as a mecha cyborg, hence Mecha Thulu. I entered into Shirt.Woots T-shirt derby, but was rejected over the simple matter of mismatching background color. I plan to employ this logo soon. Done in Illustrator from a sketch I made.